Back of the net! Fixing Luka scores a hatrick at the Limelight Awards! 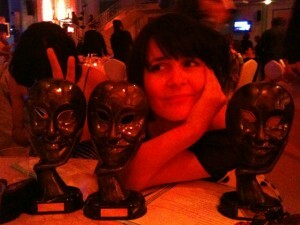 Best Animation, Best Visual and Best Film. We made idiots of ourselves on stage, had to sneak out to the pub half way through and felt a bit like we were at the Christmas party in Die Hard but that just made it all the more special.